Club des Femmes came up with the innovative idea to accompany their screening tour with archive film, which captured female activism and history within local areas. Personally, I was excited to learn more about women’s history around the UK as well as gaining further insight into how regional archives go about preserving and making these historical documents accessible to the public, and to film programmers and researchers with feminist interests such as myself. The unfortunately limited number of films available did not come as a surprise: the need to preserve and document female-directed work is rarely given the same value as that authored by men. This often results in female-led moving image work not being acquired by distributors or being available in screenable formats, and therefore hire fees and screening materials can become too high for the majority of venues and programming collectives to pay. There were films available online, on resources such as Scottish Screen Archive and BFI Player; both of which include numerous invaluable clips documenting London in particular. However, on many other archive sites I found that the majority of clips I was interested in had not been digitised and were not available to view via the online catalogue, therefore making the job of a programmer much more difficult. The consequence of this is that often cinemas are required to pay to digitise screening materials on top of the copyright licensing fee – which can cause problems when working on independent projects with a limited budget, such as ours. 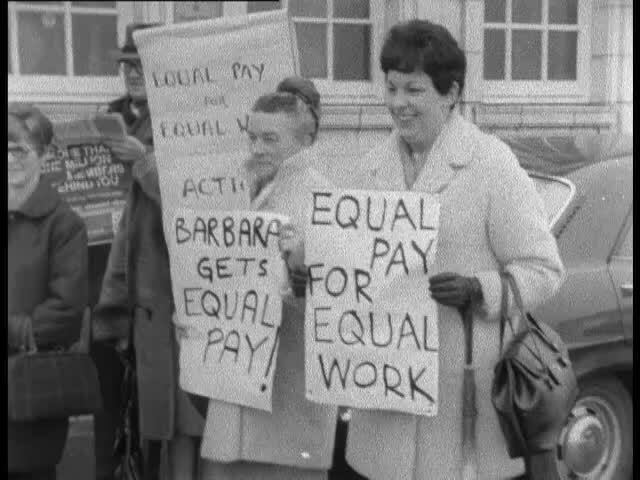 A still from ‘Women for Equal Pay Demonstration, Beach Ballroom, Aberdeen’(1968), from the Scottish Screen Archive – National Library of Scotland. That said, I was able to view some really insightful films which we are hoping to screen as part of the tour, as well as some treasures that we are sadly not able to include for various reasons. One of my favourite of these finds was uploaded on YouTube by The Women’s Liberation Music Archive; a fascinating 39 minute film capturing the Nottingham Women’s Festival from 1984. 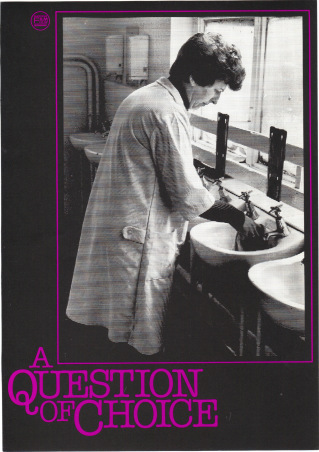 Speaking to one of the team members at the organisation made me aware of the amount of investment needed: “It’s such a pity there isn’t more archive footage of female activism… Coincidentally we have just been contacted about a film being made about 2 great pioneering women feminists… It sounds like a really interesting and worthwhile project, ensuring this feminist activist history isn’t lost.” One of my favourite parts of this research project was discovering more female filmmaking collectives and archives around the UK and the importance of such initiatives, projects such as Sheffield Film Coop, Red Flannel Films in Wales, WIMPS (Women in Moving Pictures), and inspiring women like Ellen Maos, founder of Bristol Women’s Centre and Bristol Women’s Aid. 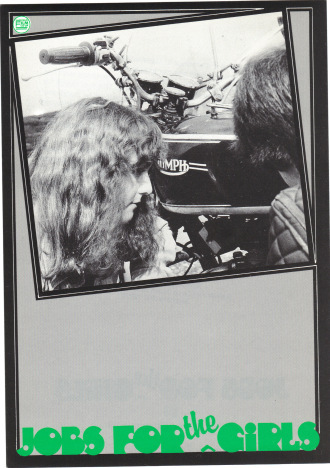 Two films made by the Sheffield Film Coop, images taken from Women’s Film & Television History Network.